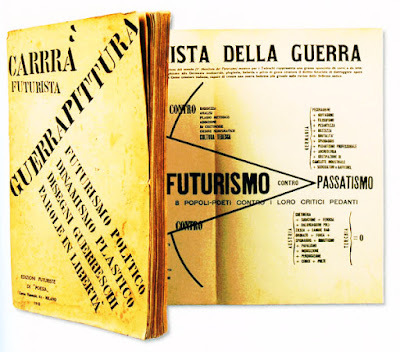 Internationally known as a painter, the futurist Carlo Carrà wrote also a group of poems inspired by the World War One years and his experience (he took part to war operations but was soon admitted to the mental health centre in the city of Ferrara). 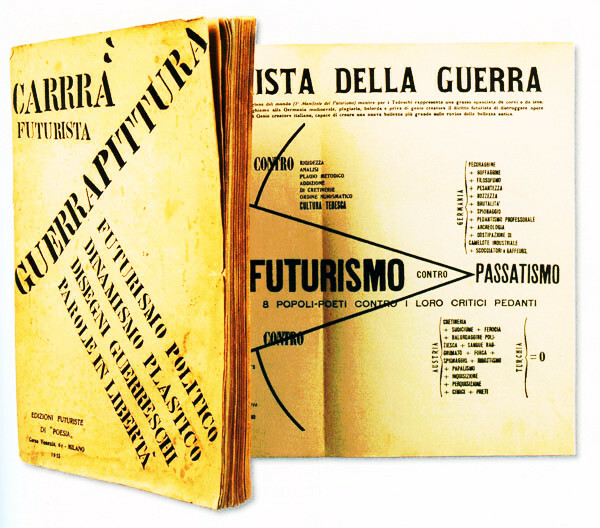 Here below we have an example of his poetry fully canalised in the Futurist typographic and visual aesthetic. 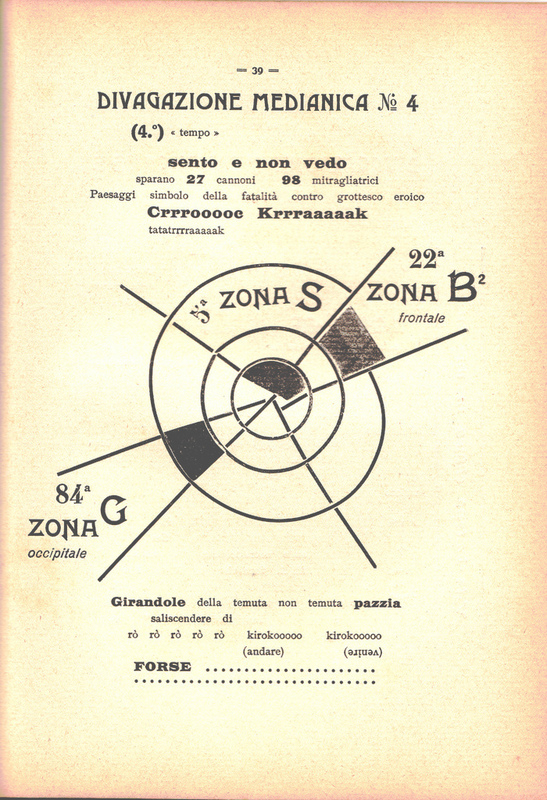 The book where this poem appeared is Guerrapittura ("Warpainting") and was released in 1915.